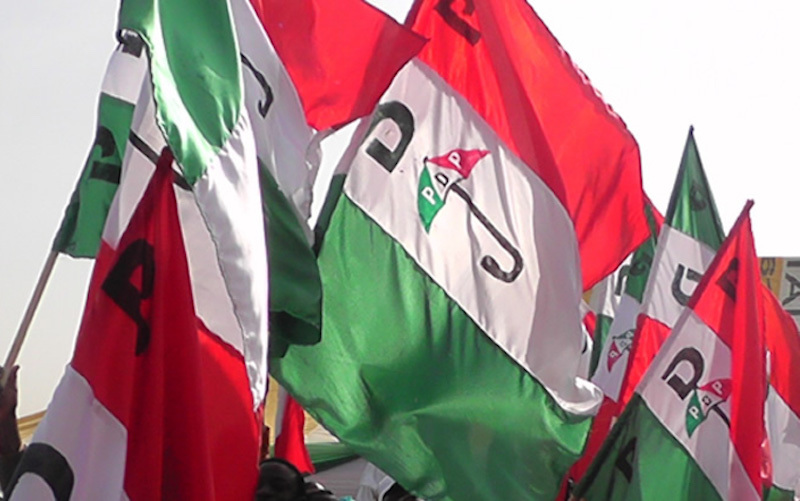 The Peoples Democratic Party (PDP)has suspended its governorship campaign in Zamfara state following fresh attacks on communities by bandits in the state. The party’s governorship candidate, Alhaji Bello Matawalle announced the decision at a news briefing in Gusau on Tuesday. “l want to announce that I have suspended all my campaign programmes due to the renewed rising bandits activities in the state. “l also wish to call on the government and security agencies to come up with practical measures that will adequately bring the bandits activities to an end,” he said. The News Agency of Nigeria (NAN) reports that the bandits had on Monday stormed Ruwan Bore community in Gusau local government killing the elder sister of a serving Senator, Kabiru Marafa and several others. An eye witness, Usman Makama told NAN that the hoodlums attacked the village head’s House,where they killed one of his wives before moving into the village. “They put the gun in her mouth and blew up her head after which they abducted the village head and one other person and then moved inside the village. “This morning, we carried out the burial rites of 13 persons including Ade, the district head’s wife and we were told that the bandits attacked two other villages of Tudun Wadan Mai Jatau and Takoka where they killed scores,” he said. When contacted, the Police Public Relations Officer (PPRO) in the state, DSP Mohammed Shehu said the police were on top of the situation but that details were still being scanty.